We are thrilled to have worked with this beautiful couple for their engagement portraits, wedding photography, maternity portraits and most recently, newborn portrait photography. This Santa Monica newborn portrait session took place in their home. 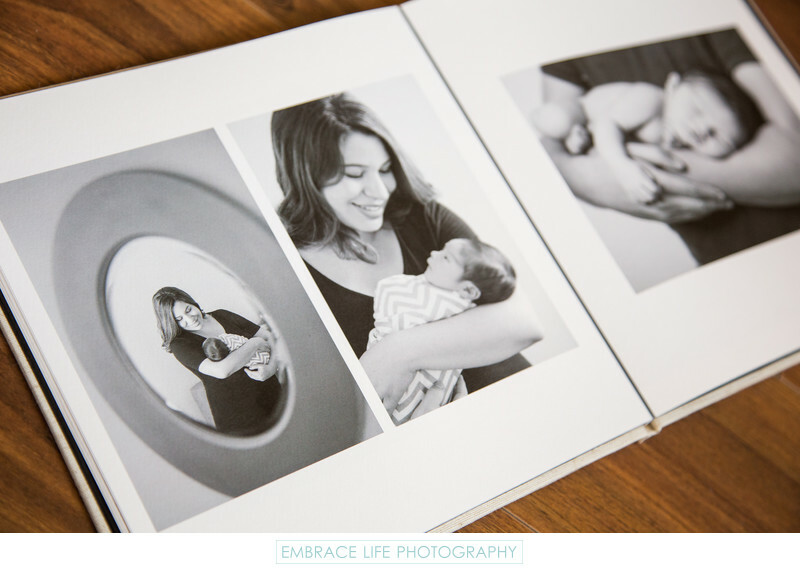 Shown here on a layflat, two-page Coffee Table Book spread are three black and white portraits of the proud new mom and dad holding their baby boy. Keywords: Coffee Table Book (6).